Welcome! We are in a blog hop! If you have come from Kristine's awesome blog, I am glad you are here. This is my first blog hop, so here we go! This is what I will call, a 6x6 mini album. There is a 1/2 inch for the binding, so it is really 5 3/4x6. The cover is a 6x12 sheet from the Whimsey Paper Fundamentals pack. The rest of the cardstock is either White Daisy, or paper from the Whimsey Combo Pack. There are 10 pages total, using only 1 1/2 pieces of paper. The 6x12 cover and 2 more 6x12 for the pages. I used Liquid Glass to bind the book together. You could also punch holes in the binding and use Ribbon or Twine to hold it together. The two pocket pages can be used for photos or to journal. I used the Artbooking Cricut Cartridge to finish off this fun little book. You could use this to capture a day at the beach, or just a day of summer fun! Hope you enjoyed it! Now you are off to Cathy's terrific blog! Thanks for stopping by. Love this color combination and the way you used the Artbooking cuts for this cute mini-album. What a great paper saver album!! This is going to be a wonderful keepsake for you family and would be an awesome class!! Great job!! Such a darling album for a fun summertime activity. The design is perfect! Nice work Barb!! Great job, it is really well designed, and the colours are vibrant. 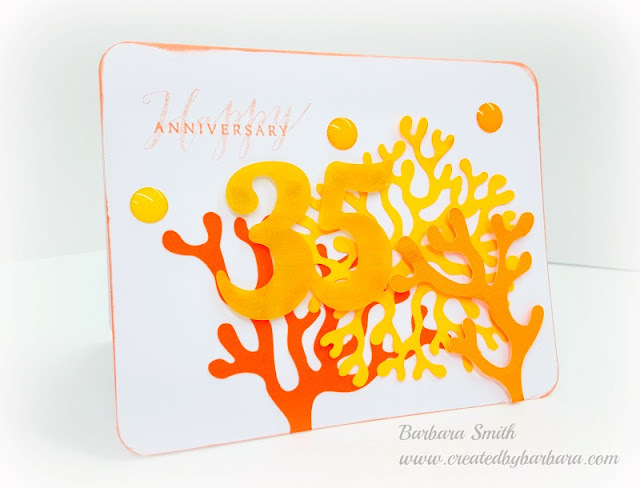 Artbooking + Fundementals Paper + Barb = Awesome mini album!!! Great choice of colors and page elements. Loking forward to seeing more of your creations! 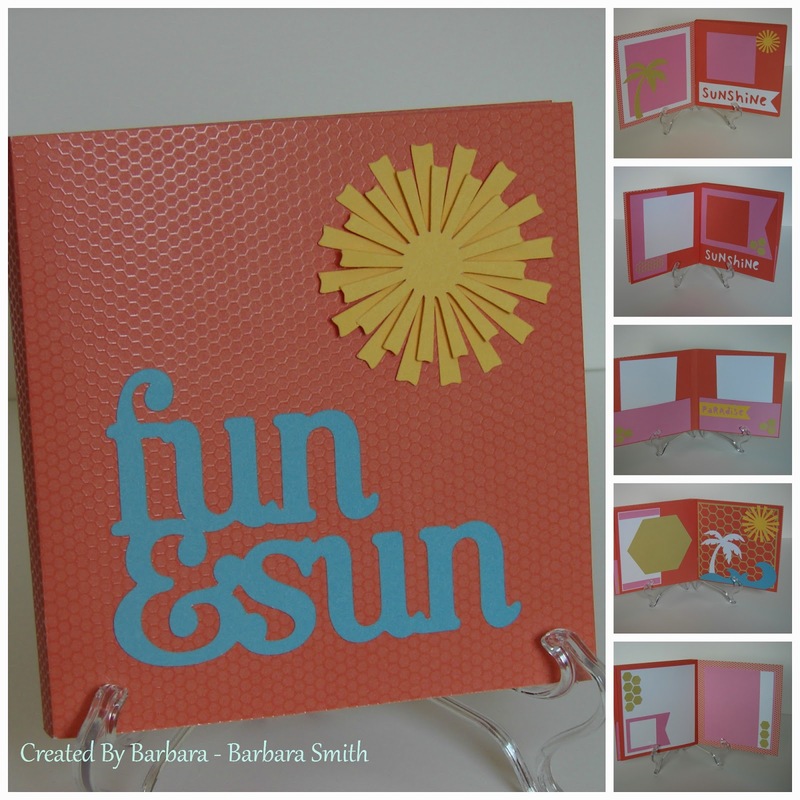 Perfect little album to show off summer fun! Love the colrs and the cut outs you chose! What an awesome summer mini album!